Since 2010, over 344 abortion restrictions have been enacted in the US. A recent study by the Center for Reproductive Rights and Ibis Reproductive Health found that South Carolina has the highest number of abortion restrictions in the country—14—along with five other states. 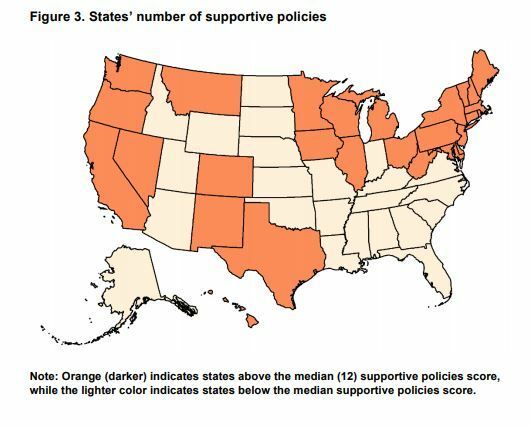 This study also shows us that the more abortion restrictions a state has passed, the fewer evidence-based supportive policies exist, and the poorer the health and well-being outcomes for women and children. South Carolina ranks below the median score for supportive health policies, women’s health, and children’s health. Countries that were above this median score were more likely to have fewer abortion restrictions. The evidence is clear: if we want the women and children in South Carolina to be economically, socially, mentally, and physically empowered, we have to Be the Voice of support for the agency of women in the state to make their own decisions involving their health and economic well-being. Add the Be the Voice frame to your profile picture on Facebook to show your friends that you support women and children in SC.